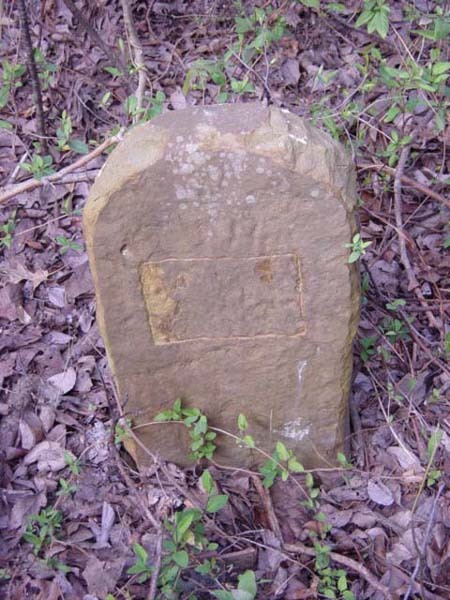 Located 1 1/2 miles East of Fern Mountain just East of US69 in Muskogee. 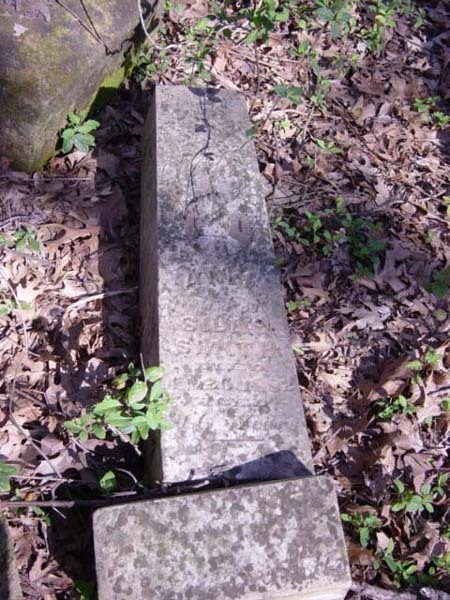 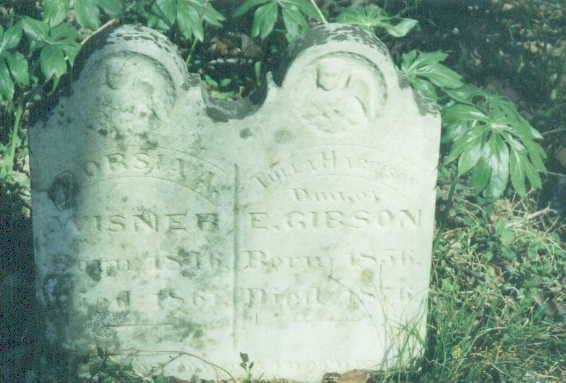 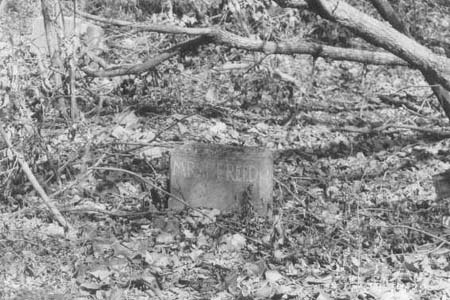 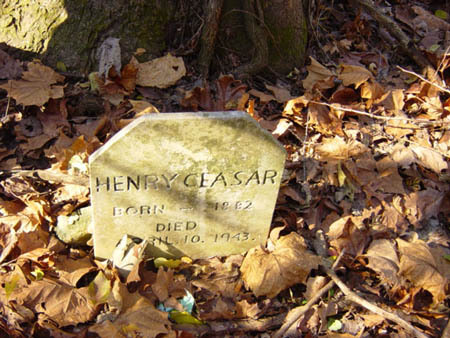 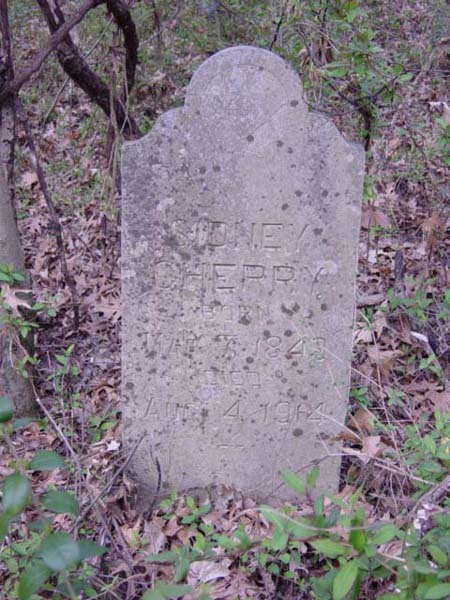 According to the Indian Pioneer History, volume 55, pages 338, 339: "Soon after the Creek agency was established at Fern Mountain in 1857, the Agency burial ground was started on the hill one and a half miles east of the agency on the first road between the Agency and Ft.Gibson, and the old deeply worn road that winds its way throught the old cemetery today is a part of that same old Agency-Ft. Gibson trail.--Fannie Renty, Creek Freedman, born and reared in the vicinity gave the information contained in the preceeding paragraph. 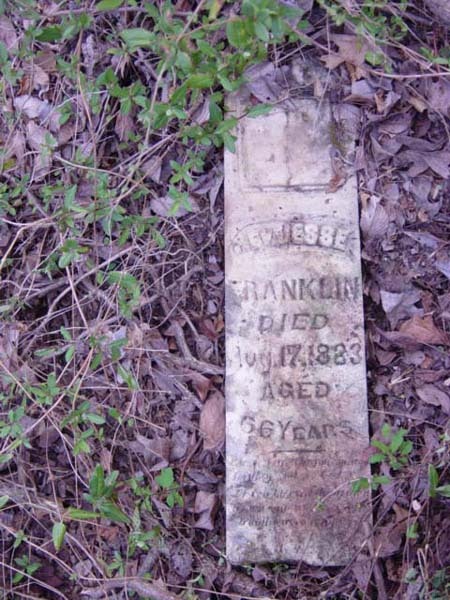 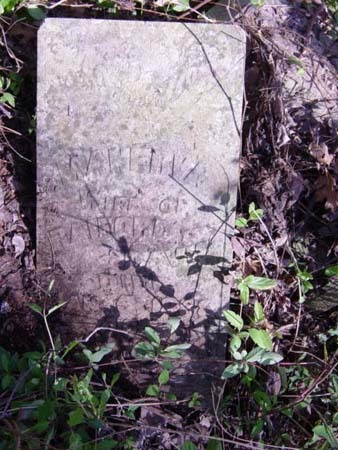 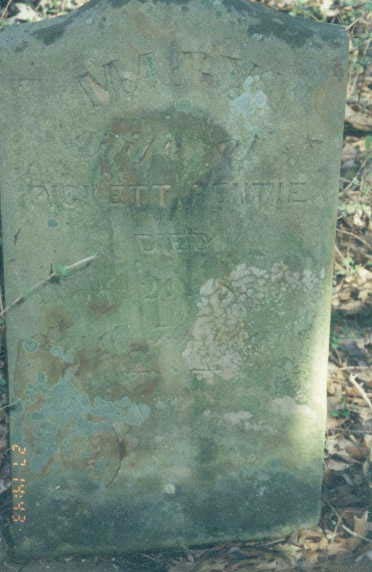 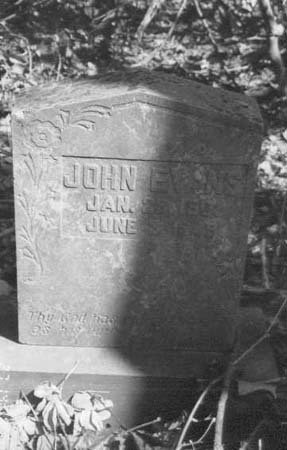 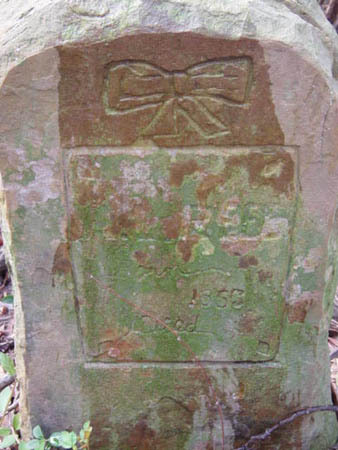 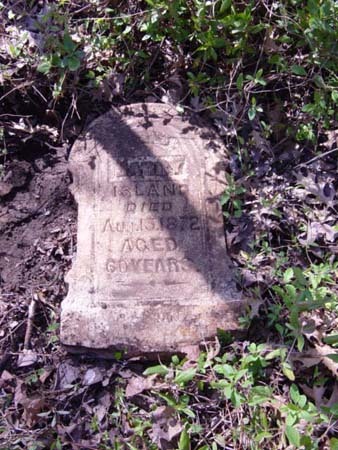 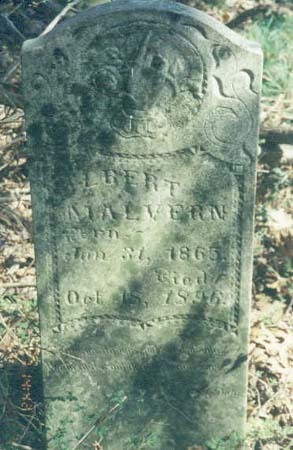 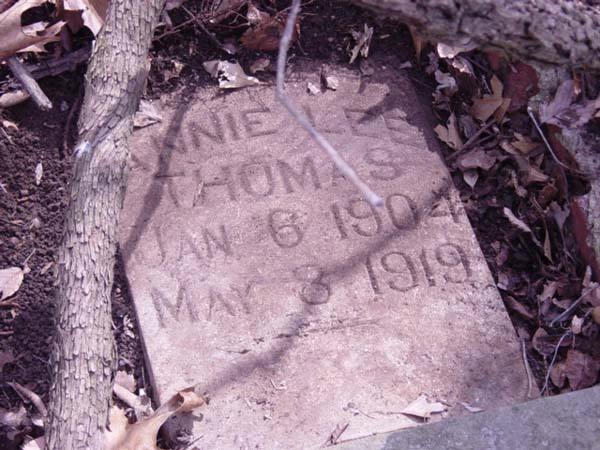 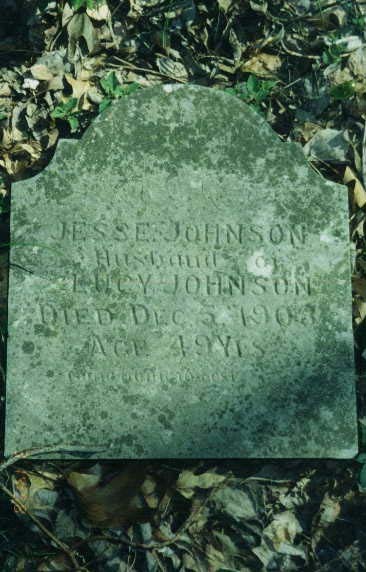 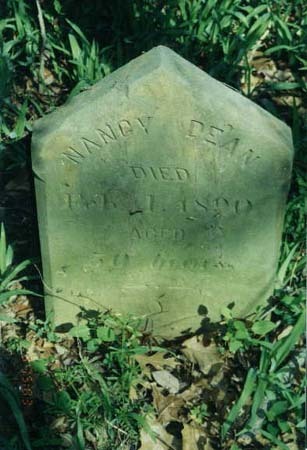 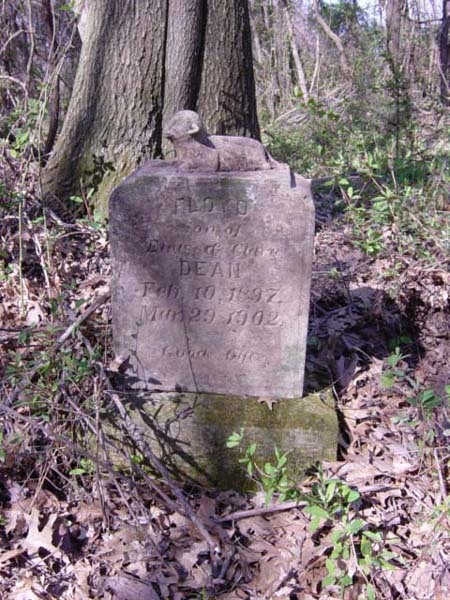 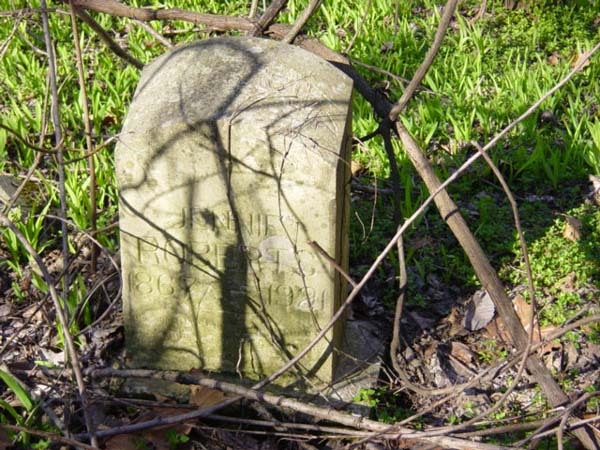 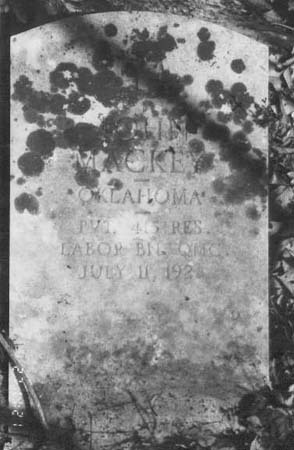 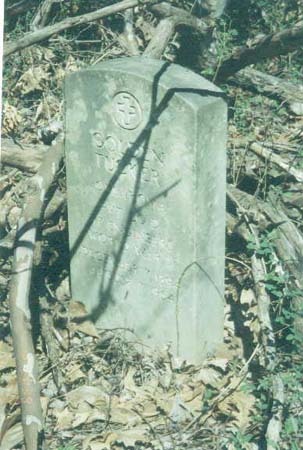 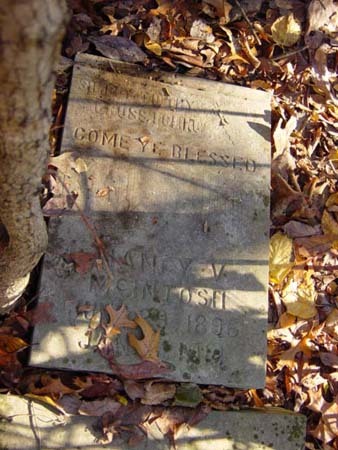 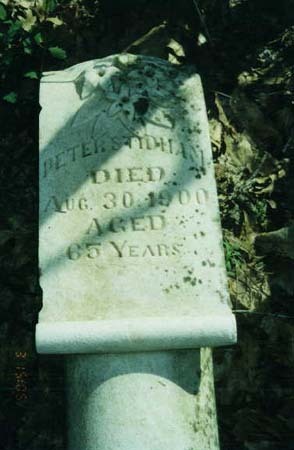 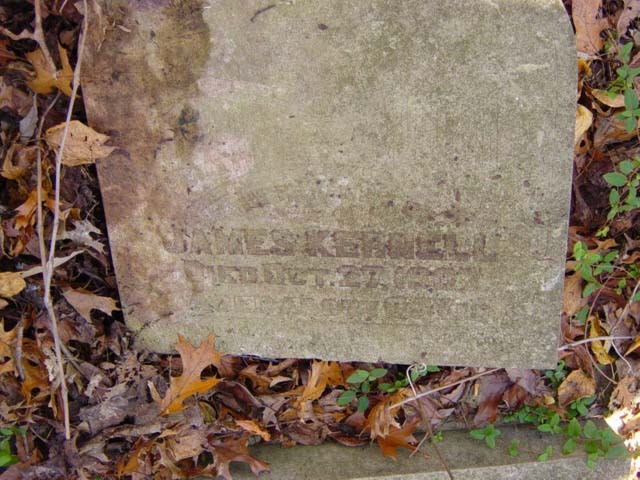 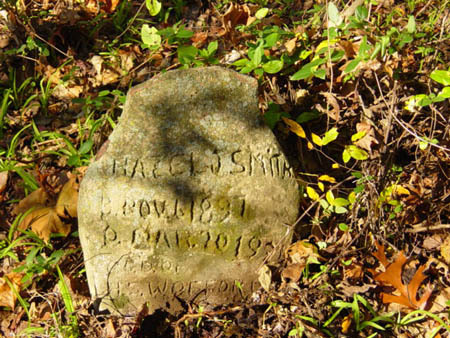 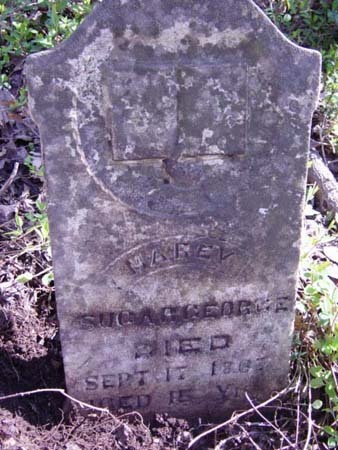 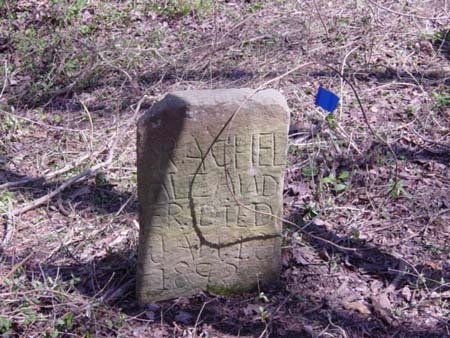 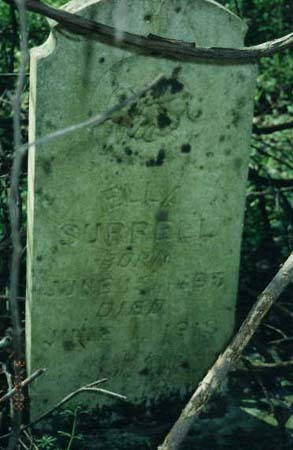 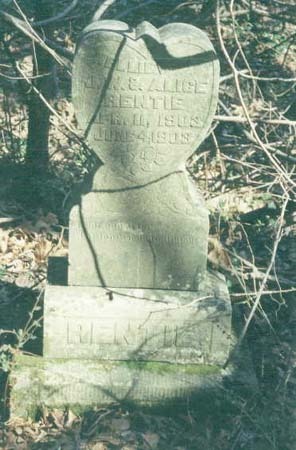 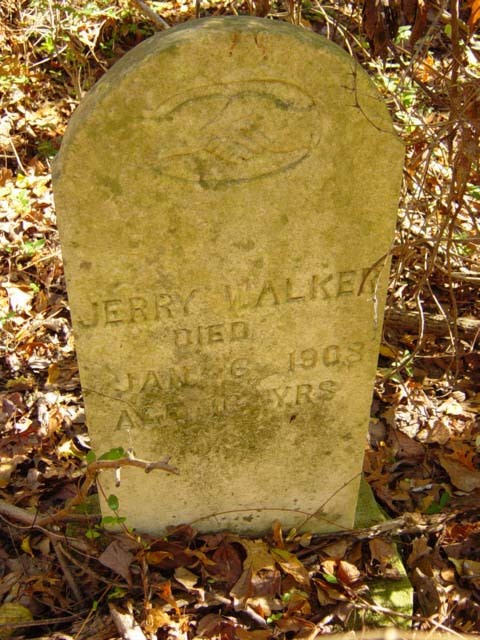 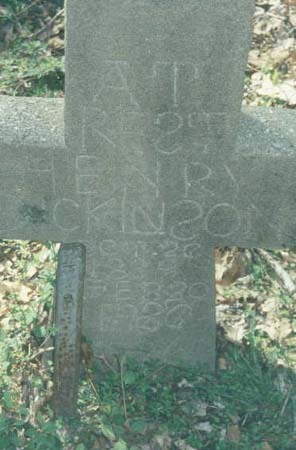 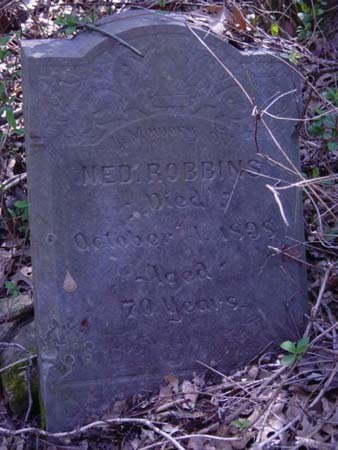 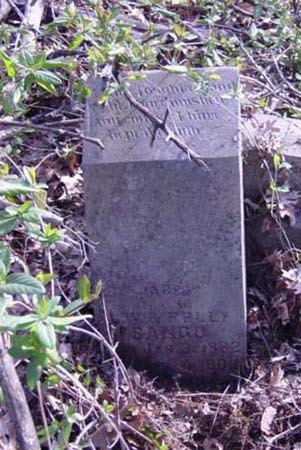 It would be difficult to estimate the number or graves in this old cemetery with any degree of accuracy as none of the older graves have markers with inscriptions and many of them have a heavy growth of brush and briers over them indicating many years of neglect. 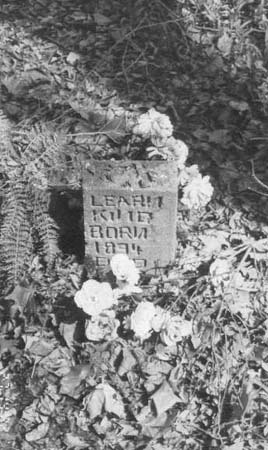 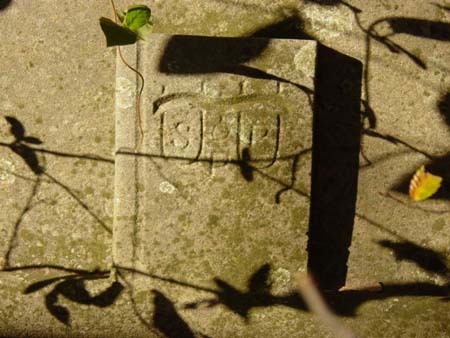 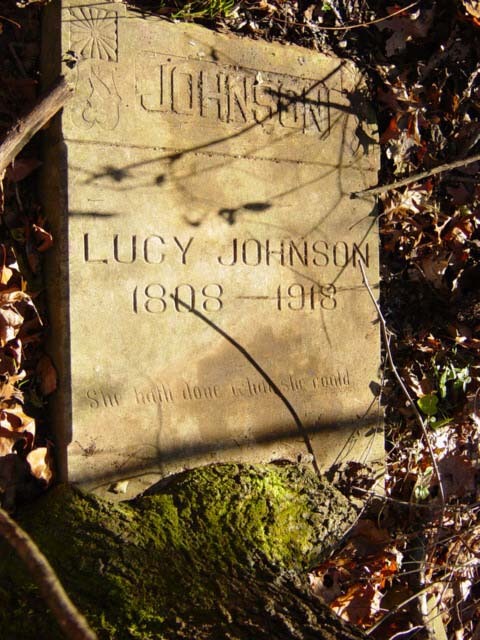 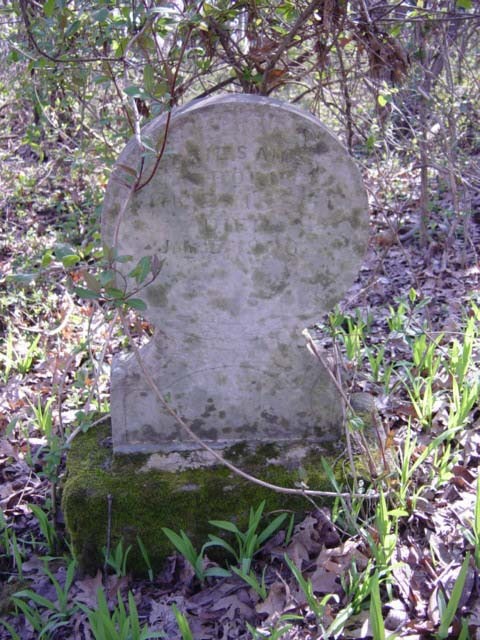 Some of the later graves have expensive and beautiful monuments and tombs, but sadly neglected and several have fallen down." 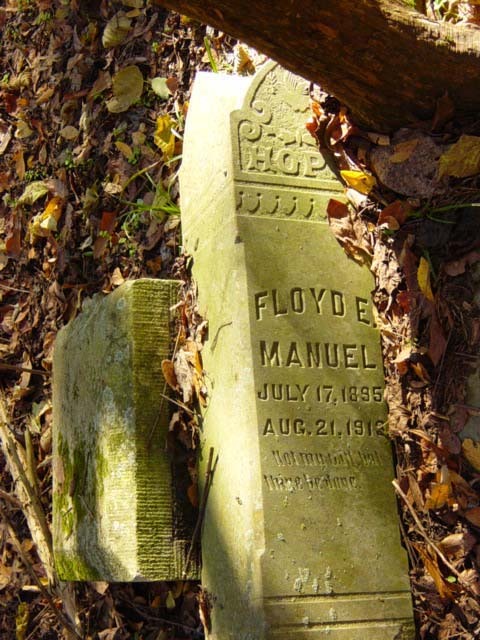 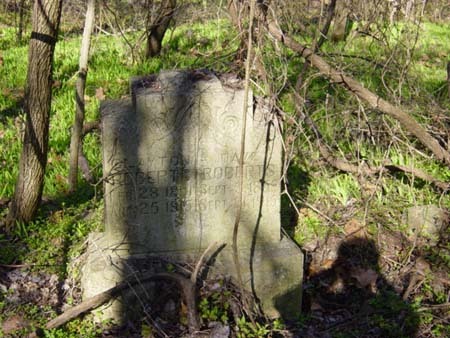 Clean up and restoration of the cemetery has begun. 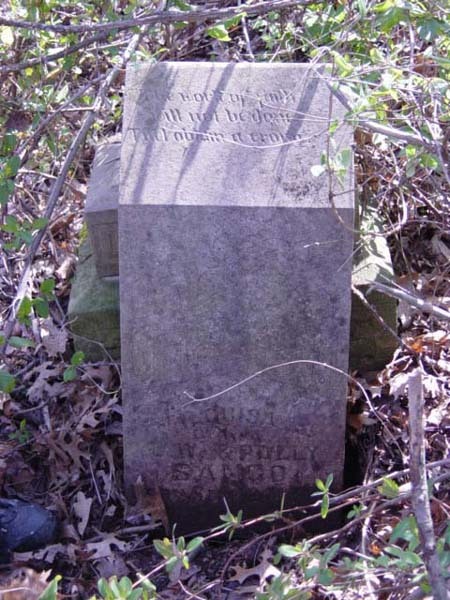 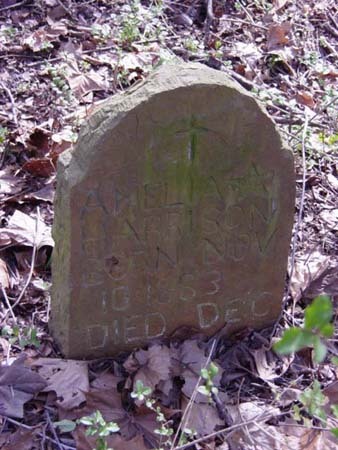 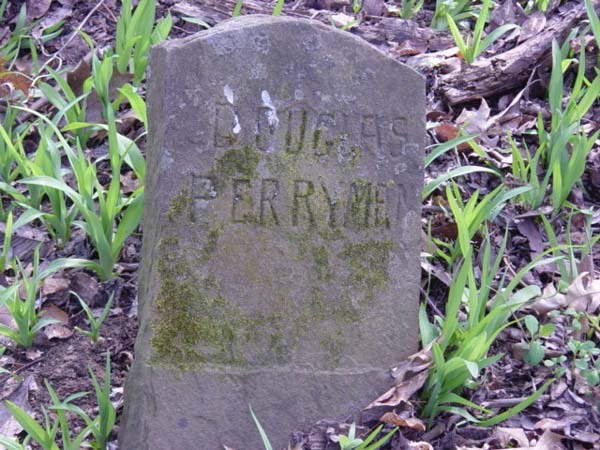 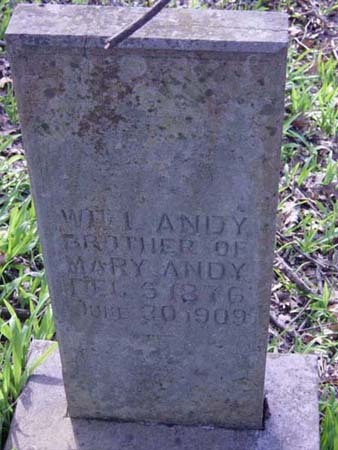 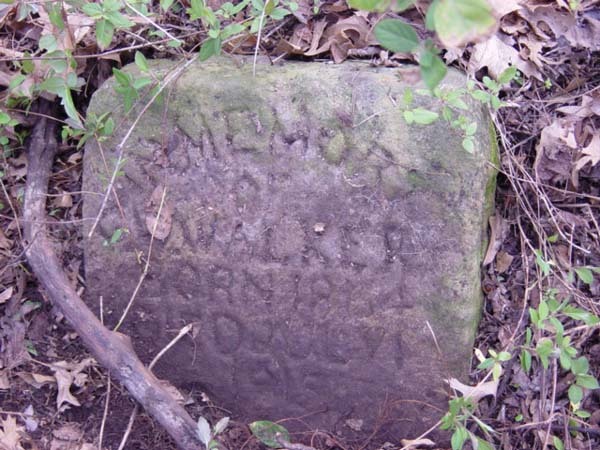 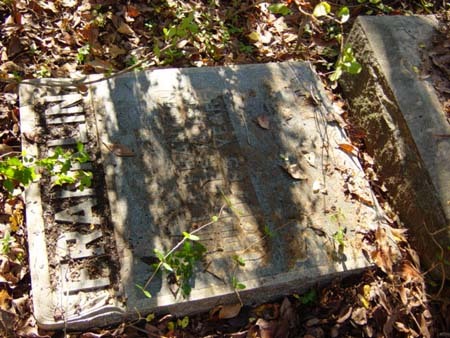 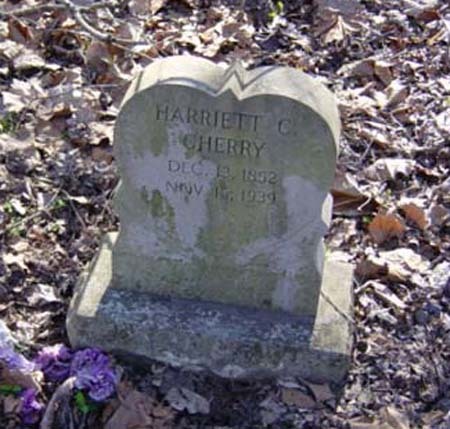 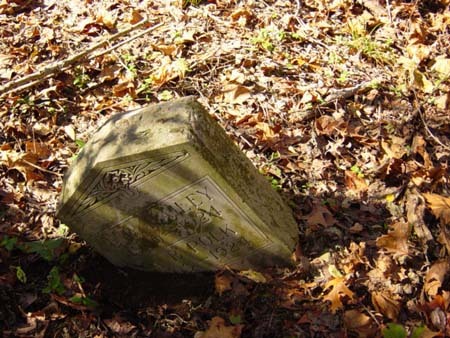 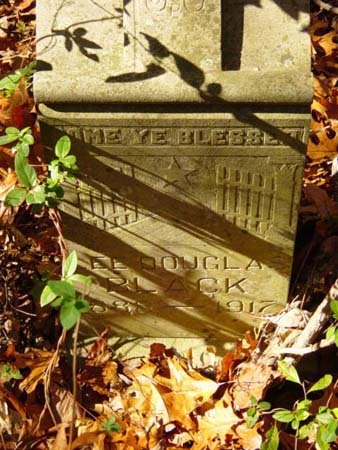 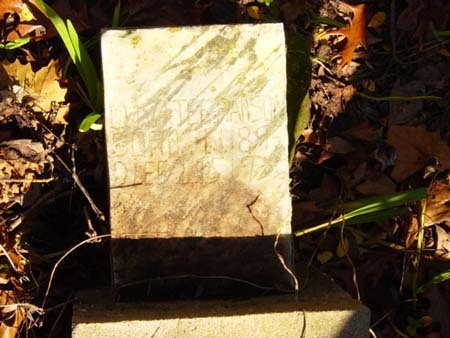 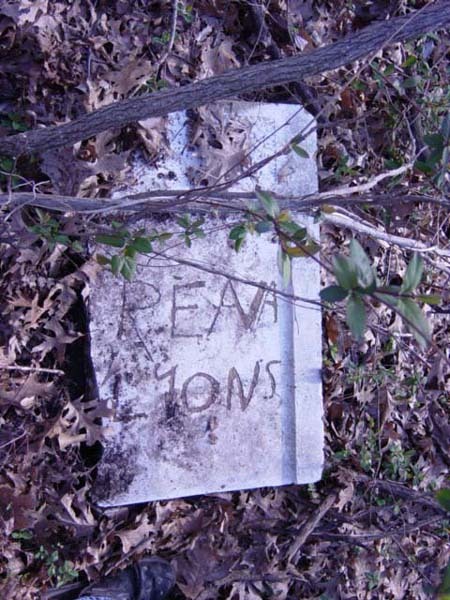 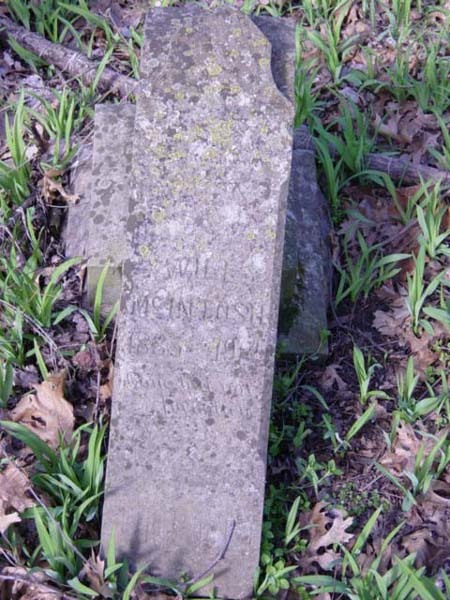 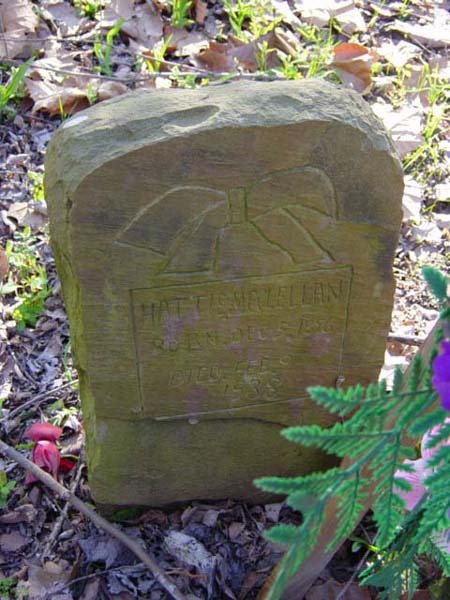 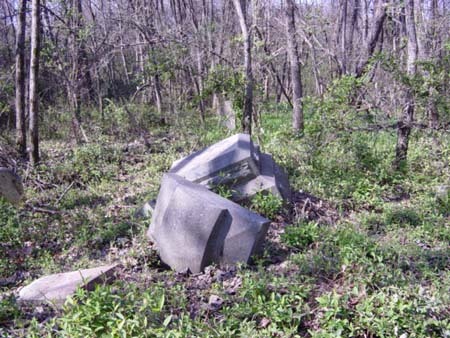 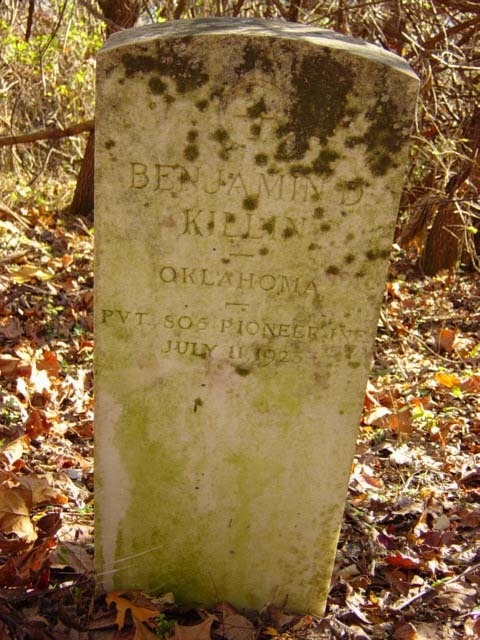 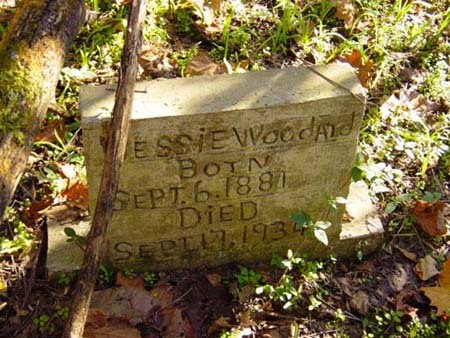 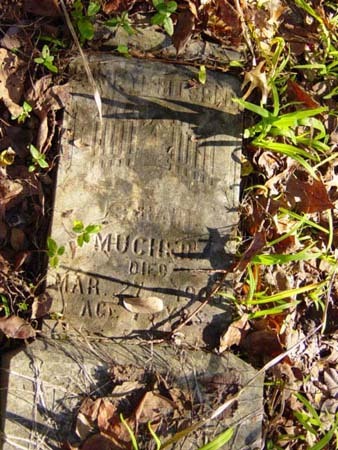 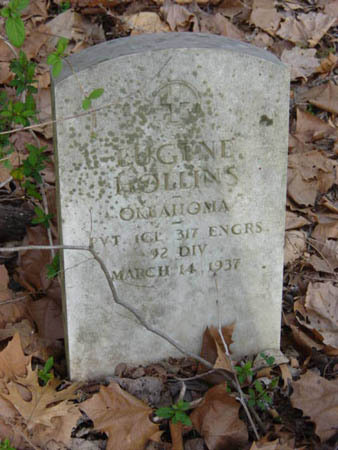 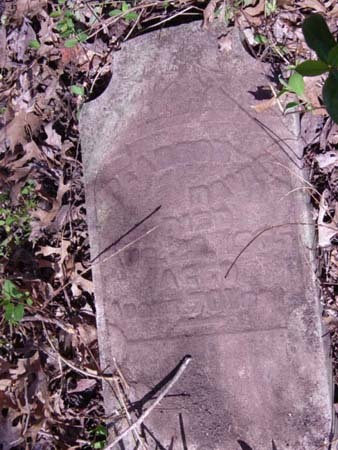 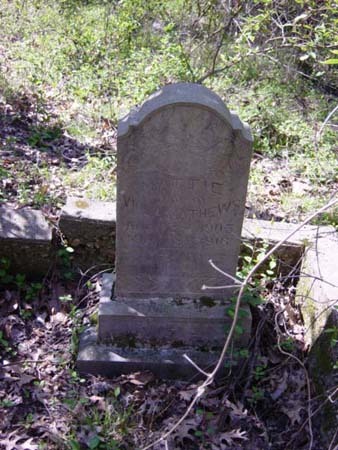 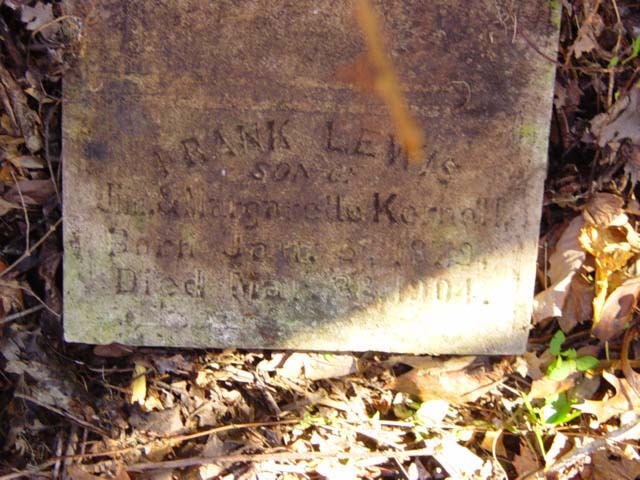 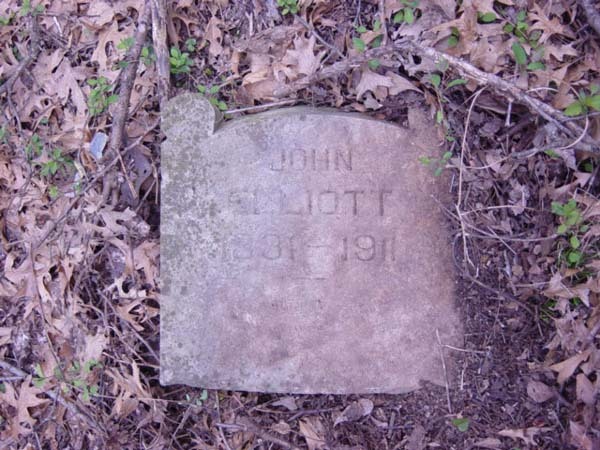 See Eastern Oklahoma Cemetery Preservation Organization, Inc. for pictures and information. 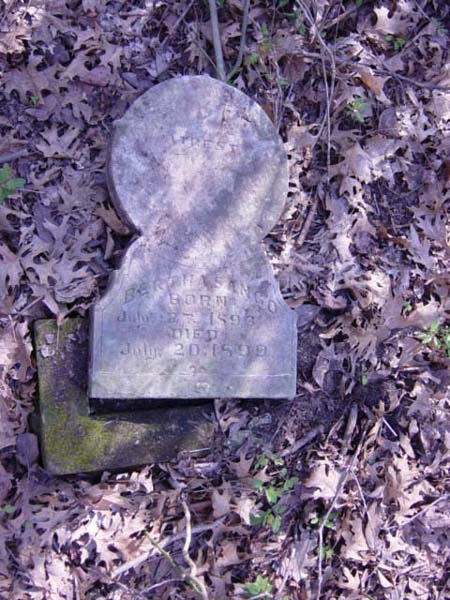 Adams Mike	 …1866	 …1923	 Lodge No. 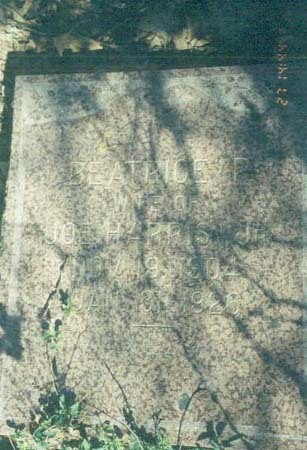 4402; G.U. 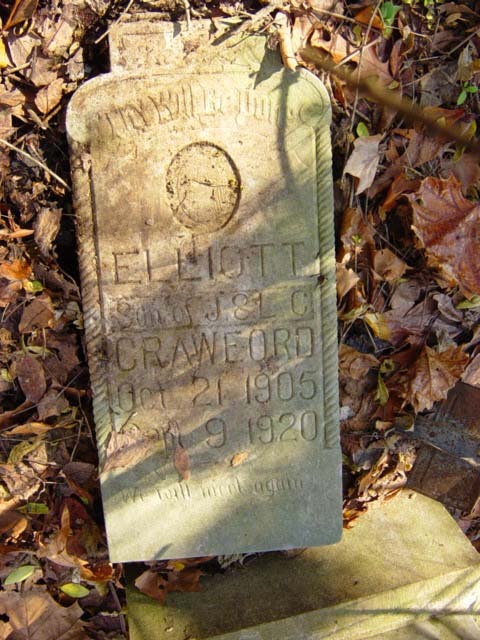 O. of O. F.
Carett (infant male)	 Homer C.
Crawford	 Elliott	 Oct. 2, 1905	 Sept. 9, 1920	 s/o J. 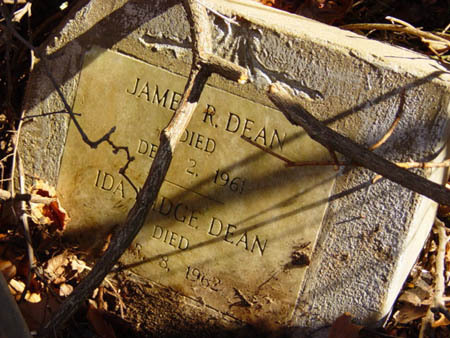 & L. C.
Dean	 Ida Midge	 March 8, 1962	 ossw Dean, James R.
Fourd	 Gladys G.	 March 3, 1898	 July 30, 1907	 d/o S. W. & J. E.
Fourd	 Jeannetta E.	 October 25, 1884	 February 11, 1915	 w/o S. W.
Hailey	 E. W.	 …1900	 …1924	 ossw Polk, A. 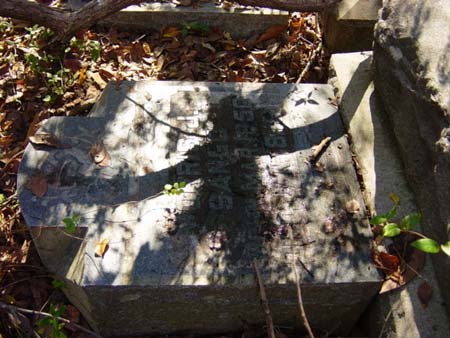 B.
Harris	 Beatrice P.	 November 19, 1904	 January 31, 1926	 w/o Joe Harris, Jr.
Hogan	 Esther	 September 8, 1896	 April 9, 1900	 "At Rest"
Houins	 Lugene	 March 14, 1937	 Pvt. 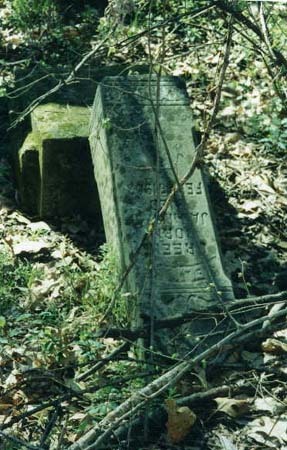 I. C. D. 517 Engrs. 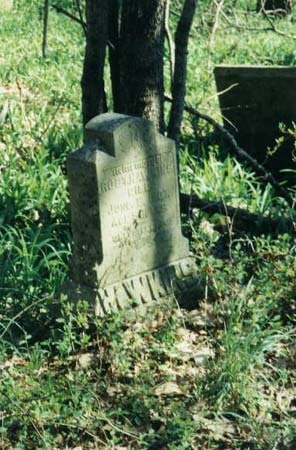 92 Div. 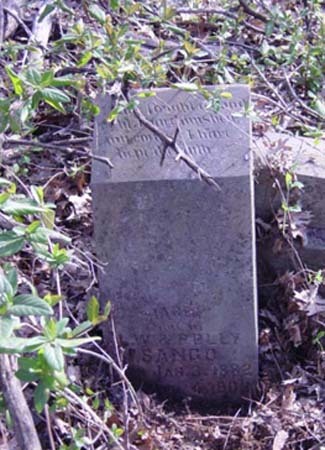 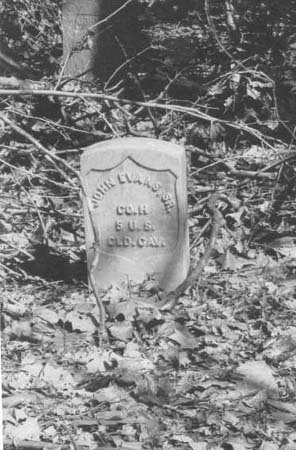 James	 Joana	 May 21, 1878	 September 15, 1888	 d/o W. & H.
Killin	 Benjamin D.	 July 11, 1923	 Pvt. 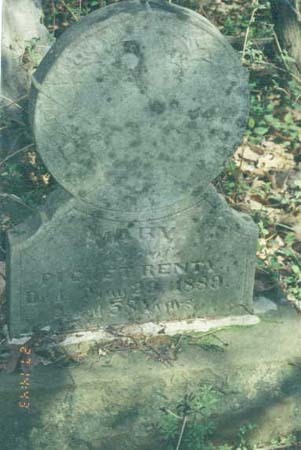 805 Pioneer Inf. 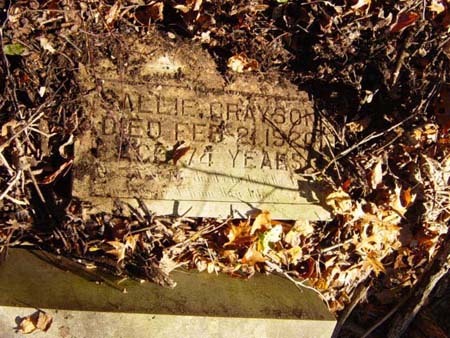 Moton	 Ela	 Oct. 3, 1905	 age 11 mon. 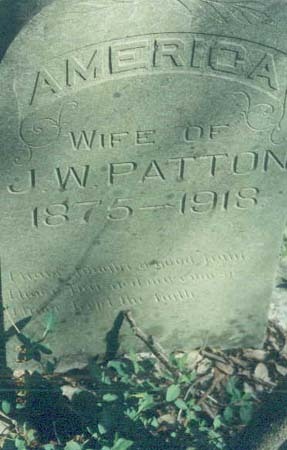 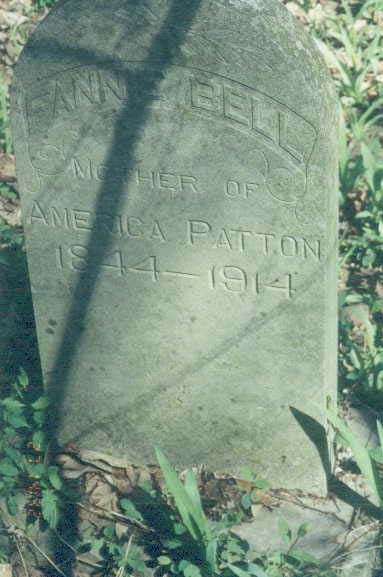 Patton	 America	 …1875	 …1918	 w/o J. W.
Polk	 A. W.	 …1903	 …1924	 ossw Hailey, E. W.
Richardson	 Daved	 Jan. 14, 1860	 May 1, 1930	 age 70yr. 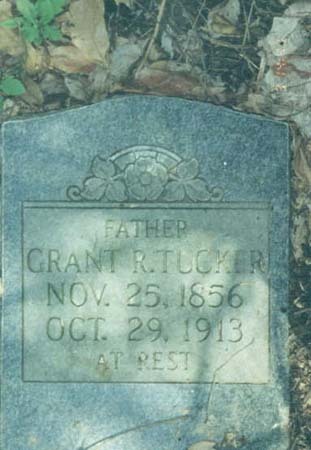 3mon. 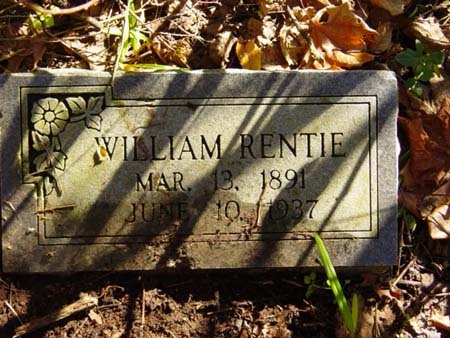 16day. 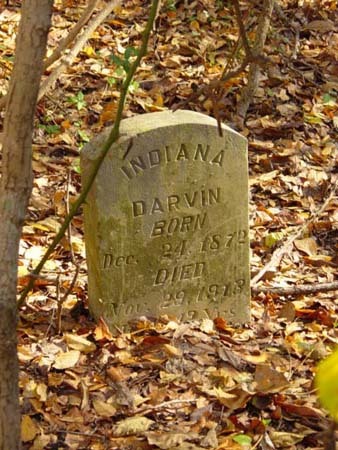 ; born MS; s/o Daved Richardson, Sr.
Robertson	 Ida Lee	 Feb. 7, 1930	 age 21yr. 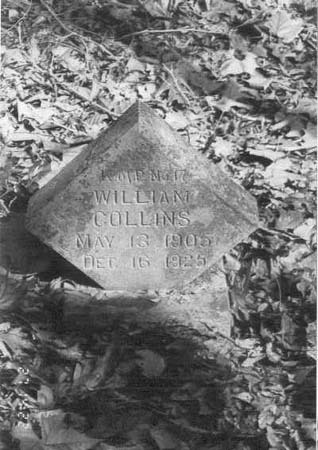 11mon. 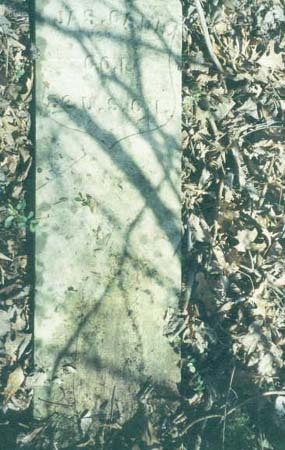 12da. 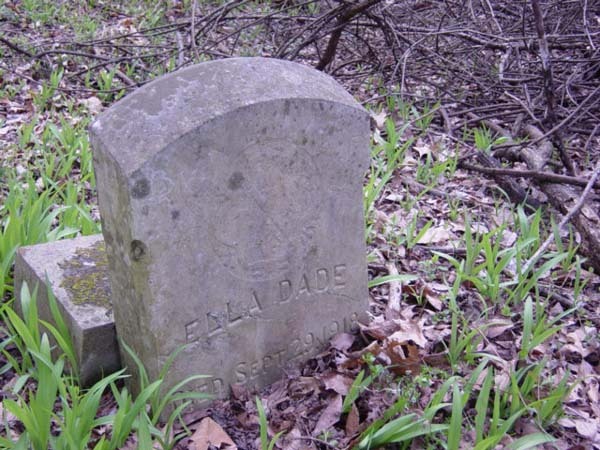 ; d/o Robert Wright & Ella? 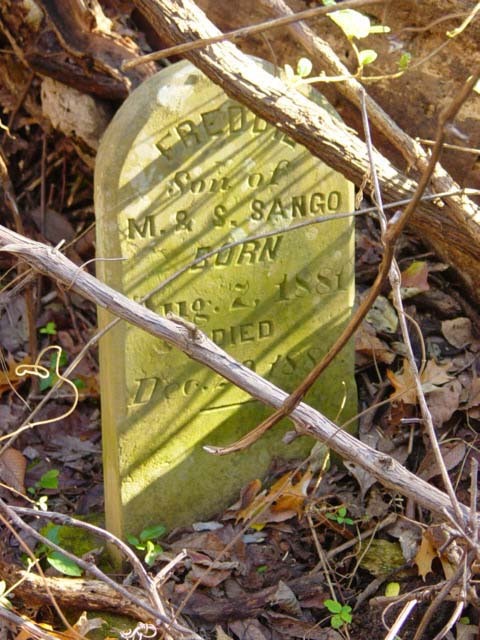 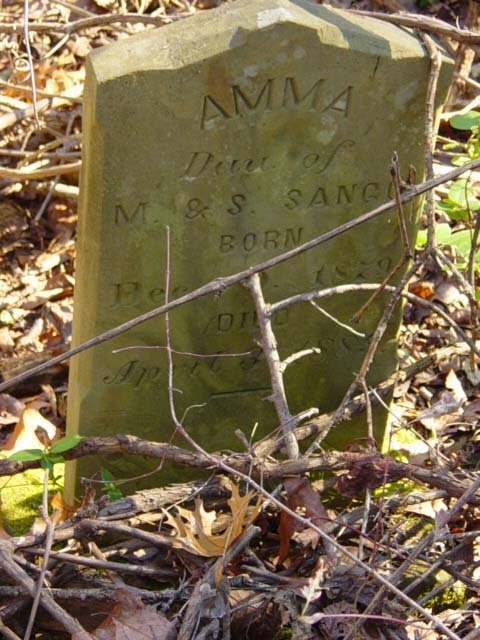 Sango	 Amma	 Dec. 9, 1879	 April 3, 1889	 d/o M. & S.
Sango	 Freddie	 Aug. 2, 1881	 Dec. 29, 1888	 s/o M. & S.
Soloman	 Johanna	 July 14, 1878	 August 26, 1878	 d/o S. & E. S.
Steward	 Henrietta Brown	 June 27, 1886	 December 25, 1908	 w/o J. R.